The nomination deadline is 5pm on Friday, April 21, 2017. View and download the funding request form. Please send all funding request forms and proposal materials to coegsla@unm.edu. To collectively address the needs of the graduate students of the College of Education, promote academic and professional excellence, and to create a leadership forum representing the College of Education agenda. As leaders, innovators, and educators, the COE-GSLA stands together to advocate for our college and promote a healthy learning environment for all students, professionals, and professors. Furthermore, the COE GSLA is an active liaison for all College of Education departments, graduate student associations, and faculty/staff. 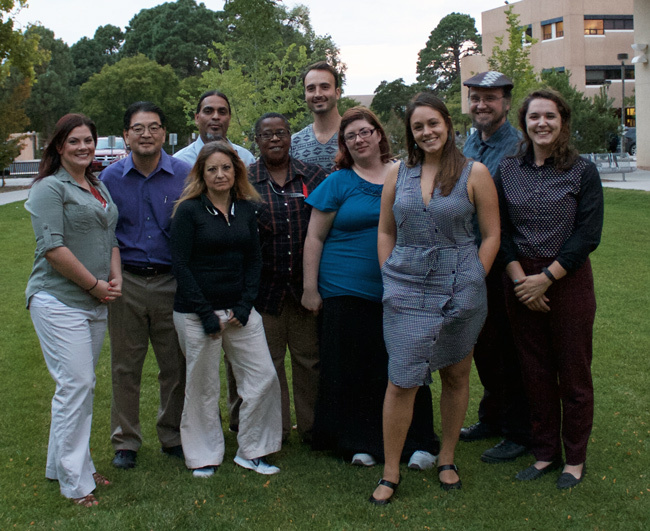 The College of Education Graduate Student Leadership Alliance has many different roles and consists of elected COE Officers (President, Vice President, Secretary, and Treasurer), Departmental Representatives (one for each: HESS, IFCE, LLSS, ES, and TEELP), and At-Large Representatives (two positions that can be filled by any department, like a floating position). One of our primary duties is to represent our college and respective departments in GPSA monthly council meetings. In addition, we meet once a month as a College to discuss upcoming issues, departmental and college-wide events, and to keep open communication between the college. This year we are looking at providing the perfect opportunity for students to get involved in campus! Have any student concerns or feedback on how to improve COE-GSLA? Email us! Share your thoughts. Email us at coegsla@unm.edu.